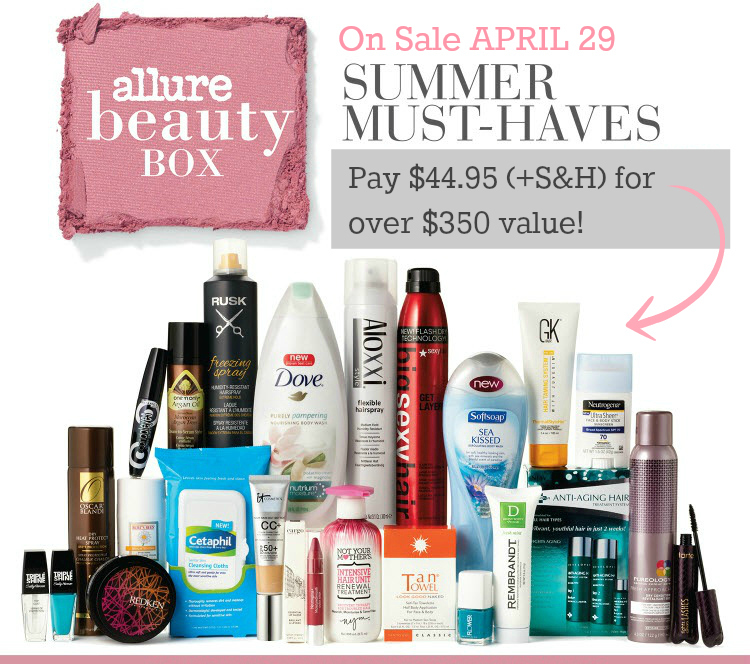 Tracy's Notebook of Style: Allure Summer Beauty Box Arrives April 29!! I wish it had other things besides so much hair stuff and anti aging hair kit...I'm not that old YET lol! I loooooved the last box. And it's a great value!